Tourists are stopped from visiting Everest Base Camp? Not true. You can go to the new Everest Base Camp. LHASA, CHINA, February 23, 2019 /24-7PressRelease/ — Recently, a piece of news about China bans tourists from visiting Mt Everest due to much garbage has spread wildly on the Internet. It caused panic among the people who are planing a trip to Tibet. While this news is proved fake by acquiring information from the related administrations in the Tibetan Autonomous Region. 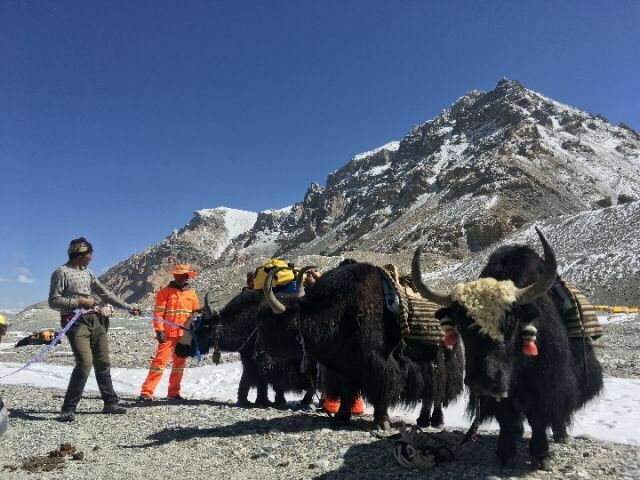 In fact, travelers are still allowed to visit Mt Everest in the future, but they cannot enter the core area above the Rongbuk Monastery (which is known as Qomolangma National Nature Reserve Area). The truth is that the Everest Base Camp will be withdrawn the previous core area, which causes no great influence on visiting Mt Everest. The deputy director of China’s Qomolangma National Nature Reserve announces that the New Everest Base Camp will be moved to the area of Rongbuk Monastery since 2019. This change will descend the altitude of the Everest Base Camp from the previous 5200 meters to 5150 meters. Tourists can still see the grand Mt Everest at the new Everest Base Camp. And the garbage on the north side of Mt Everest is not as serious as it was described. According to the government officials, you can hardly see rubbish above the high altitude of 6500 meters. Garbage clean-up is daily work. At present, the work of garbage clean-up and environment protection is mainly handled by local Tibetans, as they make a living by doing the work. In 2019, some strict measures about environmental protection on Mt Everest will be published in order to balance the ecological system. Meanwhile, the Chinese government will limit the number of mountaineers no more than 300 who climb Mt Everest and deal with the bodies of mountaineers above 8000 meters for the first time. Mountaineers can still have the Everest Expedition on the condition that their applications are approved. With more than ten years’ experience on making professional travel plan, Great Tibet Tour provides varies of Everest Base Camp tour packages which help you achieve your Everest dream with the best service and the best price.